The central bank raised its key interest rate for the first time in nearly seven years, saying growth looked healthy. Inflation remains below target, though, and a housing bubble threatens to deflate. It’s hard for Canada not to match tighter U.S. policy, but it carries risks. 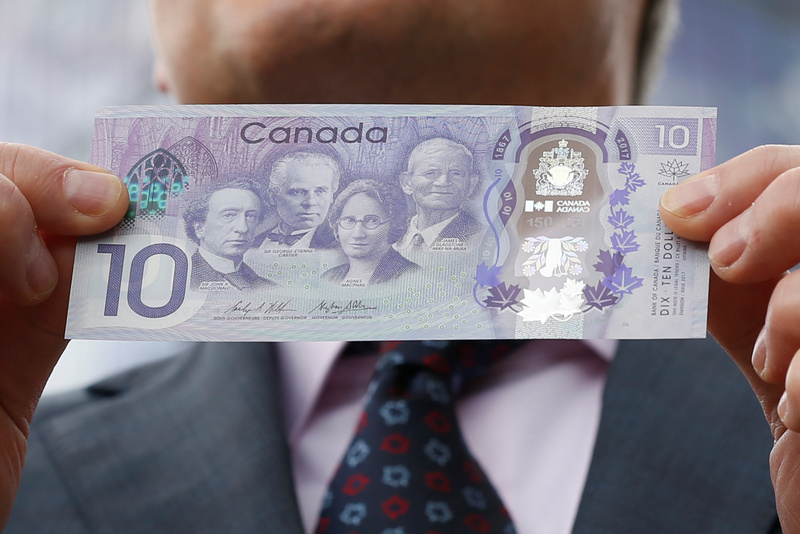 Bank of Canada Governor Stephen Poloz holds a commemorative $10 bank note celebrating the 150th anniversary of Canada's confederation during a photo opportunity in Ottawa, Ontario, Canada June 1, 2017. The Bank of Canada on July 12 raised its policy rate by a quarter percentage point, to 0.75 percent, saying it was confident the economy would grow above its long-term potential and absorb excess capacity. The central bank increased its forecast for GDP growth in 2017 to 2.8 percent from 2.6 percent previously. The Canadian dollar strengthened by nearly 1 percent on the announcement to around 1.28 to the U.S. dollar, the loonie's strongest level in almost a year.